The Sunshine State's shadow inventory of 550,000 homes makes up a third of the nationss unlisted distressed properties according to a report released this week by the Florida Realtors. Florida Realtors chief economist John Tuccillo said despite the large volume, the slow leak of homes onto the market, as well as an increase in short sales, shouldn't crash prices as many have feared. Tuccillo said this is the first statewide analysis of the shadow inventory and its potential impact on real estate's rebound. "The fear is that the inventory of delinquent and foreclosed loans will be released onto an already weakened market," Tuccillo said. "But the reality, even in Florida where distressed properties make up a significant portion of the market, appears to be different." 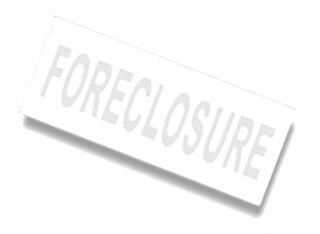 According to the report, the number of closed sales of foreclosures and bank-owned homes peaked in April 2011 with more than 9,000 sales statewide. That fell to less than 4,000 by November. At the same time, short sales -- where the lender agrees to sell the home for less than what the borrower owes on the mortgage -- have steadily increased so that now they make up more of the purchased homes than those in foreclosure. Tuccillo said fears of another price crash are unfounded because "no business person would flood the market with his inventory just to drive prices downward." "Much of the behavior we have seen from lenders, the behavior which has spawned fears of a market devastated by the release of large numbers of distressed properties, was largely the result of confusion over the rules of the game," Tuccillo said.